8.75" overall. 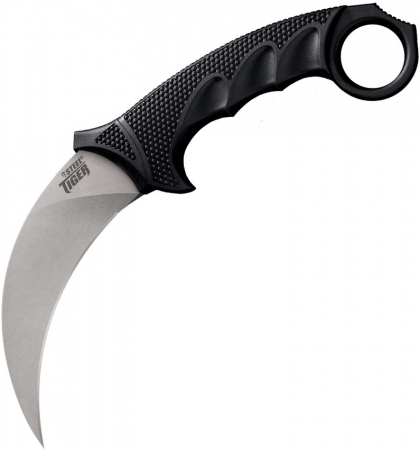 4.75" stonewash finish AUS-8A stainless karambit blade. Black textured Griv-Ex handle. Finger ring. Kray-Ex handle overmold. Black Secure-Ex belt sheath.